When you discuss medical malpractice, most people assume that you’re talking about suing a doctor. But what if you’re injured while in the hospital as a result of malpractice, but it’s not the doctor’s fault? Who is responsible? In many cases, the only remaining option is the hospital. 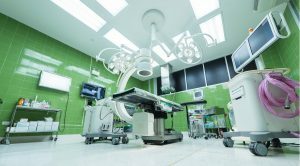 Hospitals are corporate entities, and like any other corporation, they look for ways to limit their liability exposure. One way that they do this is by making it clear that most of the doctors at the hospital are not employees of the hospital – they have privileges to practice there but are not providing care on behalf of the hospital. As a result, the hospital cannot be held liable for the negligence of the doctor. Similarly, your doctor cannot be held responsible for the hospital’s negligence, either. The family of a Massachusetts woman who died in childbirth nine years ago has finally been awarded $4 million in a medical malpractice lawsuit. Court documents show that 36-year-old Marie Gabriel-Gelin, of Stoughton, was pregnant in 2008 with her fourth child and was admitted to South Shore Hospital in Weymouth for a cesarean section delivery. Gabriel-Gelin had become anemic during her pregnancy, which placed her at a higher risk of encountering life-threatening complications during a cesarean-section, according to court records. 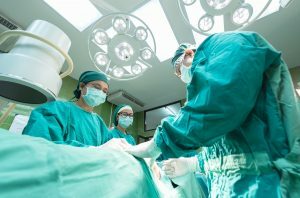 Attorneys for her family claimed at trial that, during the procedure, one of the doctors punctured her bowel, which had to be repaired by a vascular surgeon. Gabriel-Gelin lost a substantial amount of blood as a result of this incident and other complications and required close monitoring afterward.